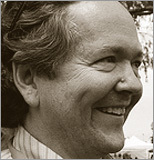 Dale Dougherty is the founder and CEO of Maker Media, Inc. in Sebastopol, CA. Maker Media produces Make Magazine, which launched in 2005, and Maker Faire, which was held first in the San Francisco Bay Area in 2006. MAKE has been the catalyst for a worldwide Maker Movement that is transforming innovation in industry, hands-on learning in education and the personal lives of makers of all ages. MAKE invites everyone to become a maker, and integrate creative goals with technical skills. Dougherty was a co-founder of O'Reilly Media, where he was the first editor of their computing trade books, and developed GNN in 1993, the first commercial website. He coined Web 2.0 in 1993. MAKE started at O'Reilly Media and spun out as its own company in January 2013. He grew up in Louisville, KY.